Unibet Open is heading back to Dublin for the first time in seven years. The five-day festival will run from November 21 to 25. There will plenty of opportunities for players to qualify for the Main Event online at Unibet Poker. 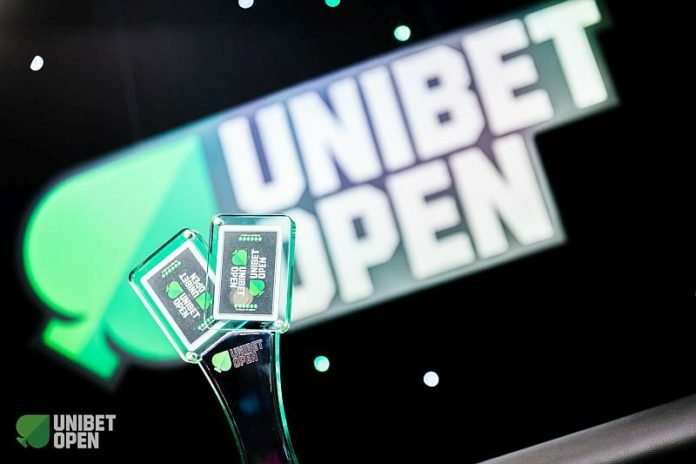 Unibet Open 21-25 November 2018. This is Unibet Open’s second visit to the Irish capital after the event there in 2011. The main event will be €1,000 + €100. Another highlight tournament is a two-day €2,000 + €200 High Roller. There will also be several side events. One of them is the popular €80 + €10 #QueenRules Ladies Event. The host of this event will be Unibet Ambassador Daiva Byrne. You can find the satellite tournaments from our Unibet Poker software under Tournaments > Unibet Open. Sign up to Unibet with us, take their welcome package and join the action. A lot of players prefer cash games instead of tournaments. You can sit down and play and walk away whenever you want. You don’t have to spend a lot of time in front of your computer, like it’s the case, especially with MTTs. YourPokerCash brings you TOP 3 Cash Game Sites. partypoker is absolutely the giant and the leader in the poker industry. After winning the Title of Poker Operator of the Year for 2 years in a row, we can freely say that there is a lot of great stuff on this site for every player. So, that is the case for cash game players also. Sharing a pool with bwin, there is always a plenty of action! Almost any time you can find an action for your favorite games. There are limits from micro to high stakes running 24/7. Also, you can take part both in regular and fastforward tables. Very often, there are promotions running, like happy hours. It is a time of the day when you can double your points by just playing the particular game. Maybe the most interesting thing for recreational players is Casual Cash Games. You can find them in the lobby, and if you chose to play one of this tables, you cannot register to any other table. That’s way there are not many “regular” and pro players here and it is much more fun! This also can be interesting to some of the dedicated poker player to try out themselves on the higher limits. Right now, if you are playing on bwin, there is a great promotion running – Casual Cash Game Challenge. All of this is followed by great cash back promotions! That is why partypoker is the 1st on this list. Join today, and grab $22 in free tickets! Natural8 Poker is a part of the GG network, which is expanding rapidly! Right now, according to the Poker Scout, it is on the 7th place, just behind the 888 Poker, but in front of some huge networks such as WPM. iPoker, Microgaming etc. Besides great action, which really can be found at any time, the field is very soft! And when we say that, we mean also on the highest limits. There are a lot of Asian recreational players. This also means that the peak hours are during European mornings, but as we already said, there is action all the time. Not only great field, but there are constantly great promotions running. Often there is Rake Race on a monthly basis with enormous prize pools. Right now, if you play your favorite cash games you can win the tickets for the great GGS Tournament Series that brings $3.5M in guarantees. So, you can enjoy both in cash games and tournaments. If you prefer more gambling, there are ALL-IN or FOLD cash game tables, where you make your decision preflop, and you have only two choices – fold or push all of your chips. On these tables, you can find plenty of recreational players and the field is the main reason why is this poker room on the 2nd place of our Top 3 Cash Game Sites. Join Natural8 Poker today and get into the action! The main reason for putting Unibet Poker as one of the greatest cash game sites is a very very soft field. Simply, they are doing their best to protect recreational players and make the poker more fun. There is no helping program allowed on this poker room, the tables look like cartoons and video games, and that is why there are much more recreational than pro players. The action is solid on all the limits and often there are many side promotions running. Right now, there is High Stakes Flop Race, where you can win extra money if you play €1/€2 and €2/€4 games. If you still don’t have an account on Unibet, it’s about time to join, there is Welcome Package waiting for you and it’s better than ever!